You are back in black with these wings! These unmistakable jet black wings have an impressive wingspan of 30 inches! You are sure to stand out, if not spook as you enter any room. 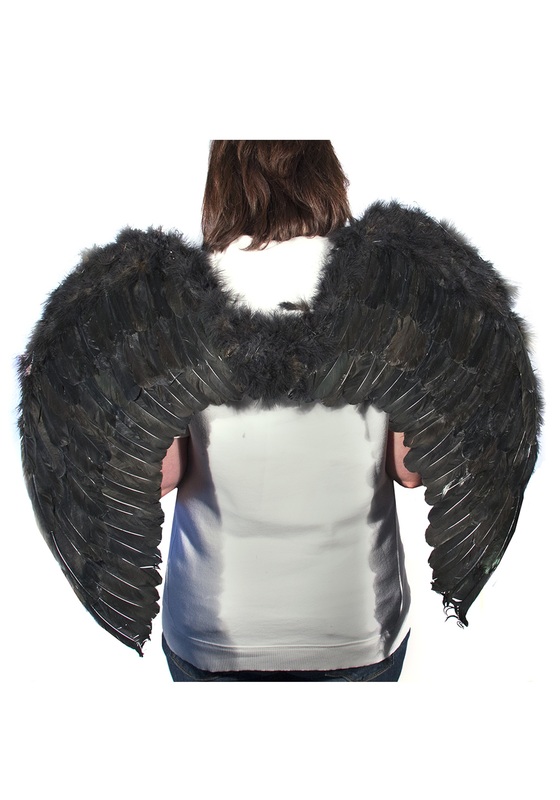 Just remember that we are not responsible for all of the people you will inevitably hit when you are walking to the punch bowl in these wings!